I love the idea of a building that not only does not harm the environment, but actually contributes to it in a positive way. Green roofs help do that. Proponents of green roofs insist that when integrated with other environmentally sustainable building practices, green roofs can reduce heating and air conditioning costs, filter and clean the water and the air, make use of local and recycled materials, extend the lives of roofs, provide habitat for wildlife and green spaces for humans, and just look really pretty. The average roof is a stark, forbidding place. Green roofs, on the other hand, are vegetated roof covers that provide additional living spaces and a way to connect with nature. 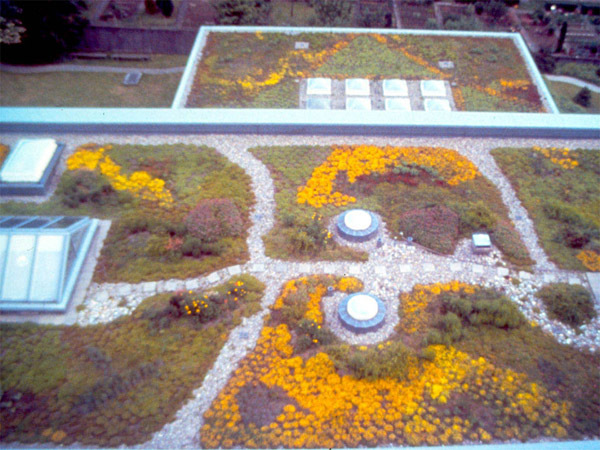 The development of today’s green roofs began in the 1970s in Germany, where they are now commonplace. Finally, about 20 years later, people started building them here. 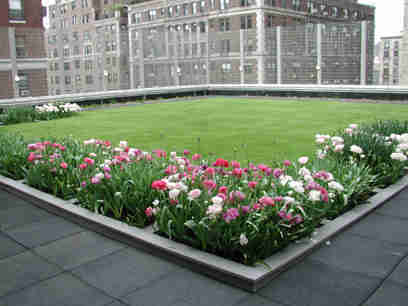 There are two types of green roofs: extensive and intensive. Extensive roofs are more lightweight, with fewer types of plants – mostly alpine. They are not usually accessible to people. Intensive roofs are higher maintenance, and can be planted with a wider variety of trees and shrubs. These roofs are also designed for human recreation. I would love to see green roofs catch on in a big way here in Rhode Island. We have a perpetual problem with storm water runoff, and we could use all the help we can get. 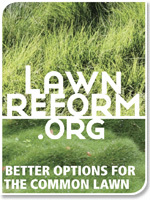 Interested in greening your own roof? Go here for information and ideas. 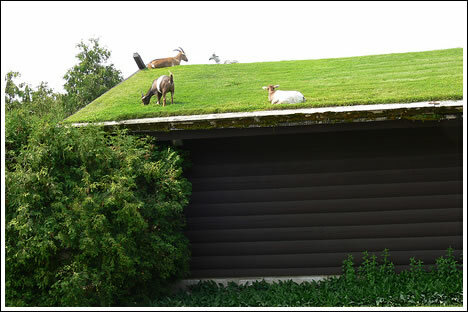 Goats on your roof. How cool is that? May I have permission to reprint these pics if credit is given, if so what should the proper credit byline be? I can’t give you permission, because they were unattributed photos I found on the Internet – in other words, not copy written.